display for the second time zone. On the back is a display of the universal time for 24 time zones via an original rotating disc on which the 24 cities are visible. It’s a particularly legible display with light-colored cartouches differentiating summer time (for cities that follow this system). 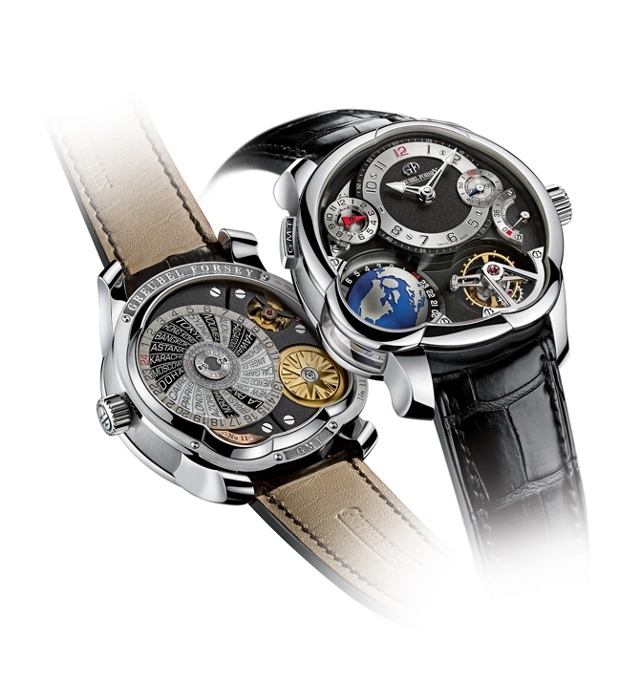 As a final touch, a symbolic midday sun at the zenith of the world time disc illuminates the case- back, leaving center stage of the dial side to the Earth. And of course the utmost care is taken with the decoration of the components, down to the smallest details. The hand finishes take in the entire range of traditional techniques, from frosting to hand-bevelling, as well as the subtleties of hand-polishing, lapping, and straight graining with flat black polished finishes. The domed crystal, the case-back and lateral window are made from sapphire crystal. the utmost care is taken with the decoration of the components, down to the smallest details. 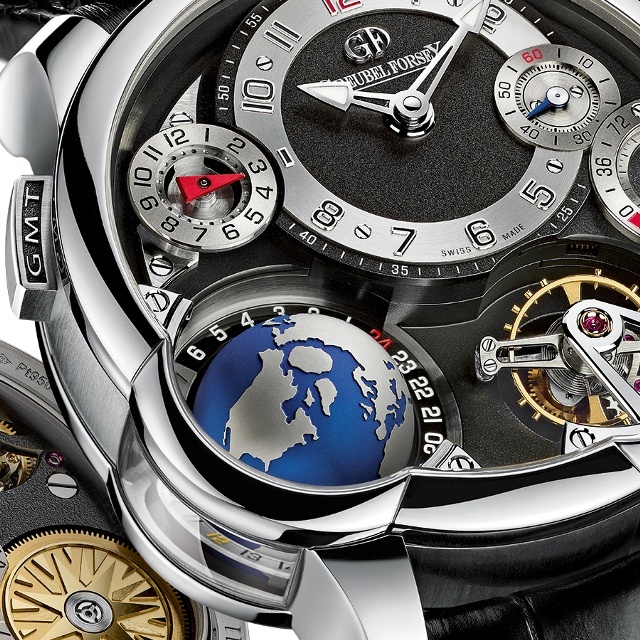 The GMT calibre is powered by two barrels for a 72-hour power reserve.